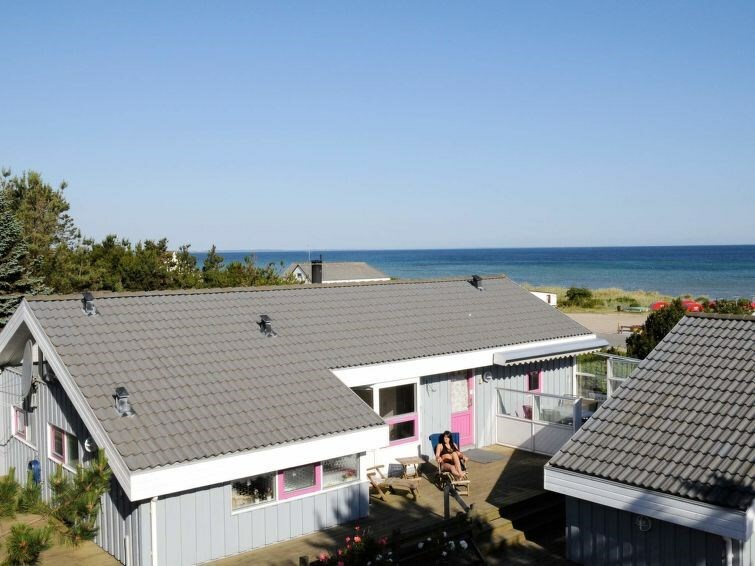 Holiday cottage located with beautiful panoramic views of Fjellerup Strand. The panoramic view can be seen at its best from the dining table in the open kitchen. The house is well decorated and appear airy and open. From the open kitchen there is a small staircase down to the living room where you can spend evenings either in front of the television or in one of the armchairs with a good book. If the day has been long and full of impressions you can enjoy a barbecue on the terrace. There are small fish cleaning facilities, ie. there are cleaning table and outdoor faucet. The plot is fenced.